braving a new meaning to beauty pageants by bringing to light the conscious effort of promoting clean and healthy environment. Masyado namang maaga para magparamdam ulit! 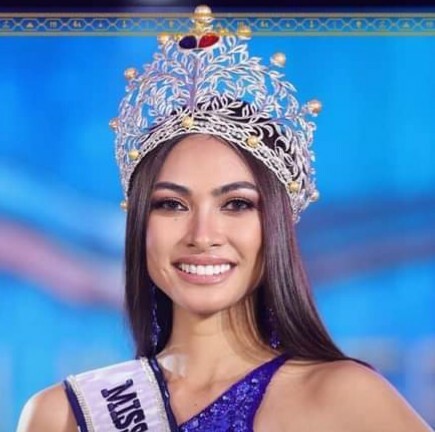 Marami pa nga ang hindi pa rin maka move on hanggang ngayon sa naging resulta ng Miss Earth 2017 heto't may sinulid na agad para sa 2018 Edition! Any prediction who's going to be Miss Page 100? Message: I love your site! Ea'rend¿l wrote: The biggest and oldest national pageant in Malta started sending their winner last year to Miss Earth thru Christie Refalo. the shots of the activity. Wonder if the figure and form prelim will be with veil too? That should be fun. She was the one who got replaced for failing to meet the age requirement? THE TERRITORY KNOWN AS " THE ROCK" RETURNS TO MISS EARTH AFTER 14 YEARS! WELCOME BACK GILBRALTAR! The search is on for the next woman to represent the USA at Miss Earth! Enjoy video of this year's groundbreaking international pageant, featuring highlights of Andreia Gibau of Massachusetts. 2018 state pageant enrollment has begun and select state titles are being appointed NOW! Visit www.missearthunitedstates.com/apply-now. ME was the biggest Misso traffic this year. The ME excitement will continue in 2018. If they have been tuning in here at Misso, NDs should know what to look for. The search for ME SPOKESPERSON continues for 2018. Facial beauty helps but it’s going to be battle of knowledge, poise and extemporaneous speech ability. WELL THIS IS TOO FAST ! !AREN'T Y'ALL ENJOYING THE GIRL IN MY AVATAR'S REIGN ??? SHE IS MY QUEEN FOR NOW. I HOPE SHE REALLY DOES HER HOMEWORK. I WANT HER TO HAVE ONE OF THE CROWNS. GO EMMA. I HOPE HER TEAM IS FOLLOWING THIS THREAD. tresure wrote: WELL THIS IS TOO FAST ! !AREN'T Y'ALL ENJOYING THE GIRL IN MY AVATAR'S REIGN ??? IN CASE YOU DONT KNOW, WE ARE ALWAYS DOING THIS. CHECK OUR PREVIOUS COVERAGE AS TO WHEN DID WE START THE THREAD. wow great! Love that this thread is now starting to roll. Ivy Aguas wrote: Masyado namang maaga para magparamdam ulit! Best viewed only in PC's / laptop. Not in mobile phones. Let's see this coming days if they will have that pre-judging. The earlier the better and the more it gives heartaches to the losers! THIS IS ME! WILL YOU LOVE ME? Message: i will crash you! Happy Veterans Day to all the earthlings. For those who served their country, thank u for your service! Last edited by roykahu on Sun Nov 12, 2017 1:42 am, edited 1 time in total. Miss Malta 2017 thread is up. Follow the journey to the crown HERE! Grand coronation will be on November 25. The biggest and oldest national pageant in Malta started sending their winner last year to Miss Earth thru Christie Refalo. Ea'rend¿l wrote: Miss Malta 2017 thread is up. Follow the journey to the crown HERE! Oh no, that's Black Friday/Saturday weekend. The earthlings will be busy window shopping at the mall. That's the day when people transform into monsters. So you better stay in your room and watch Miss Malta. Wow naman ... di pa nga nagsisimula ang pageant eh may basang sisiw na agad na pumasok dito sa sinulid! Miss Earth Beauties shared a Page. MISS EARTH ECUADOR PROVINCIAL FRANCHISE IS NOW AVAILABLE! 2018 state pageant enrollment has begun and select state titles are being appointed NOW! 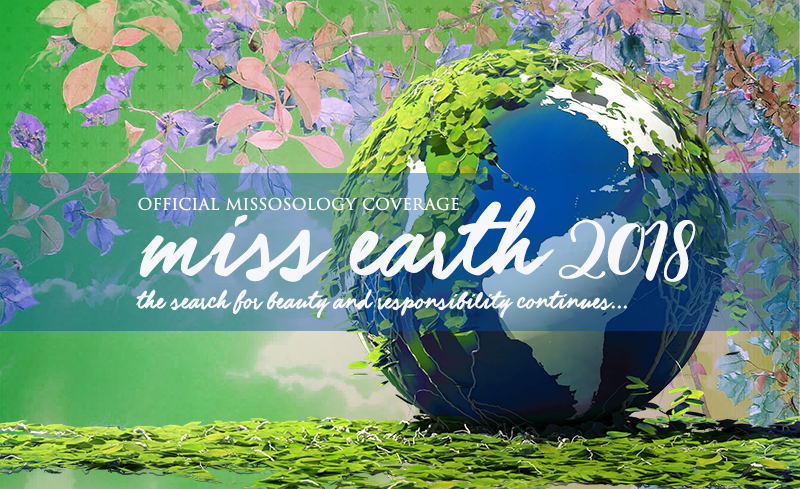 Visit http://www.missearthunitedstates.com/apply-now.